These washable and reusable incontinence bed pads are very absorbent and offer an excellent protective barrier for mattresses. 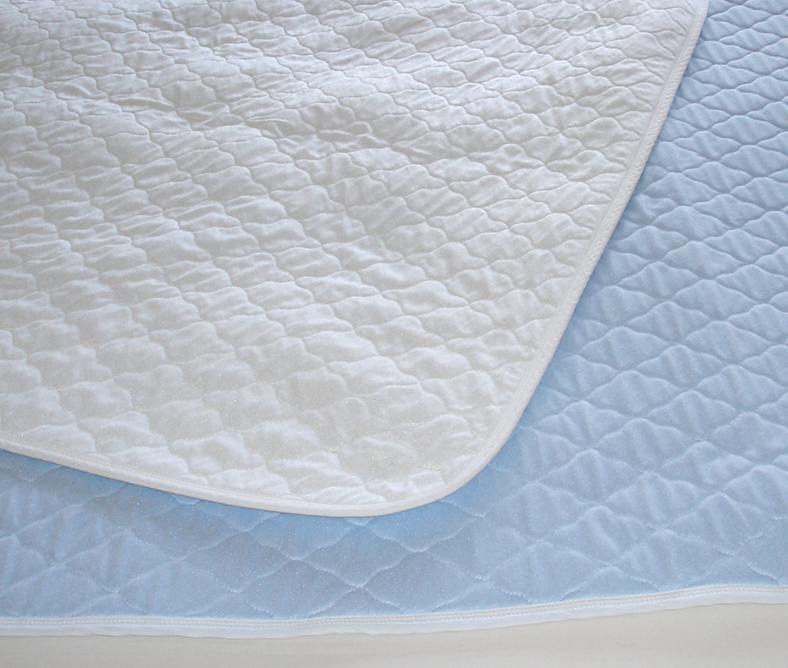 We have two types available, the standard can be used on any size bed and does not have any tuck in flaps. The tuck in type has material flaps at each end of the pad designed to be tuck underneath the edge of the mattress. Both types have non slip backing and are guaranteed for 200 washes.